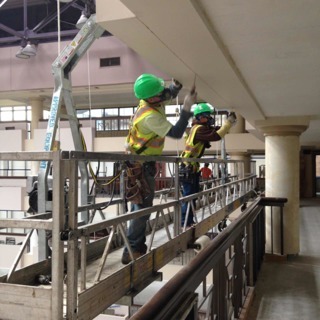 Atrium renovation – demolition of storefront systems, main registration desk, gift shop, planters, water feature/fountain, pools and equipment, stone flooring, ceilings and miscellaneous interior finishes. Selective Demolition is your premier source for demolition services in Washington, D.C., Maryland, and Virginia. We pride ourselves on efficient, quality service, and precision demolition services at an affordable cost.